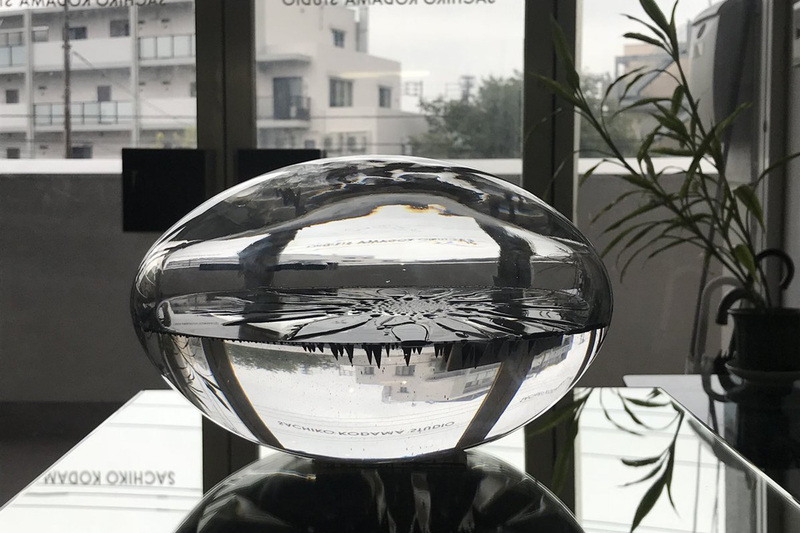 The surprising techniques developed in her projects by the Japanese artist Sachiko Kodama have no precedent in contemporary artistic practices, inside or outside the field of digital arts. Her work is an example of how scientific research can expand the expressive vocabulary of artists today, to enable them to model physical reality and create images that we would have thought only possible in the field of imagination and the dream. 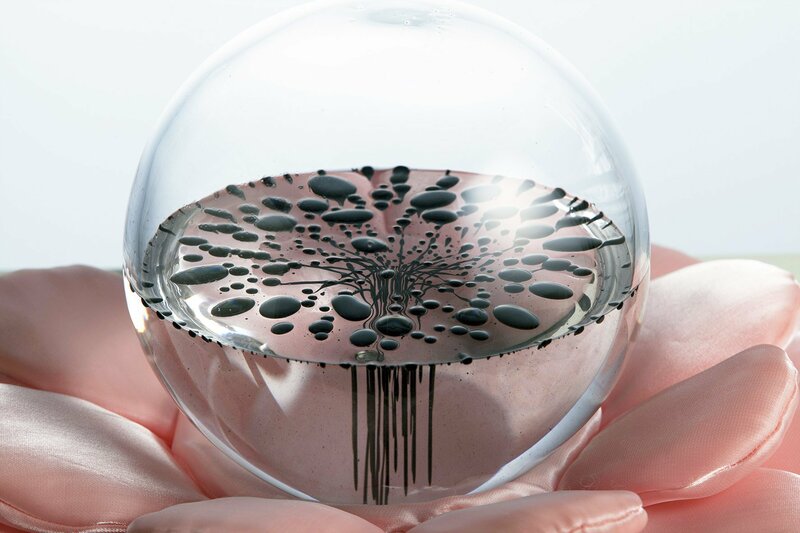 Kodama’s work is based on the study and manipulation of specific substances, ferrofluids, whose properties are, to be seen, almost magical. 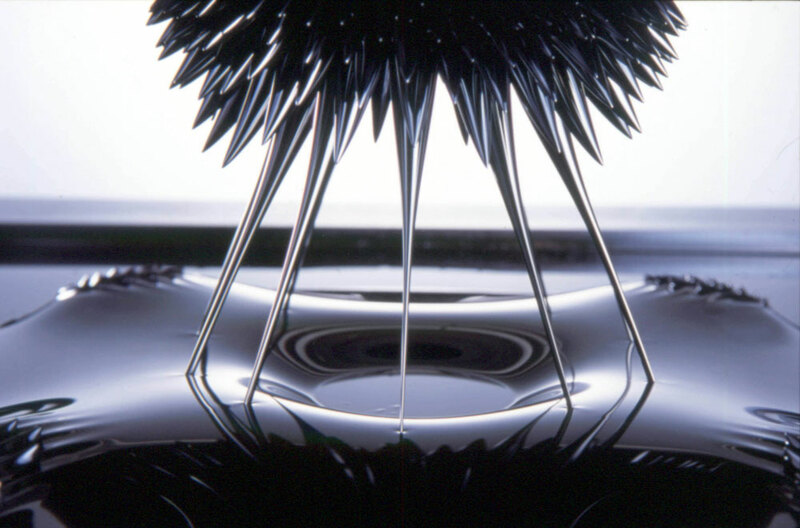 Ferrofluids are liquids that due to their metallic content have magnetic properties, and respond to the proximity of magnetic fields vibrating and changing shape. 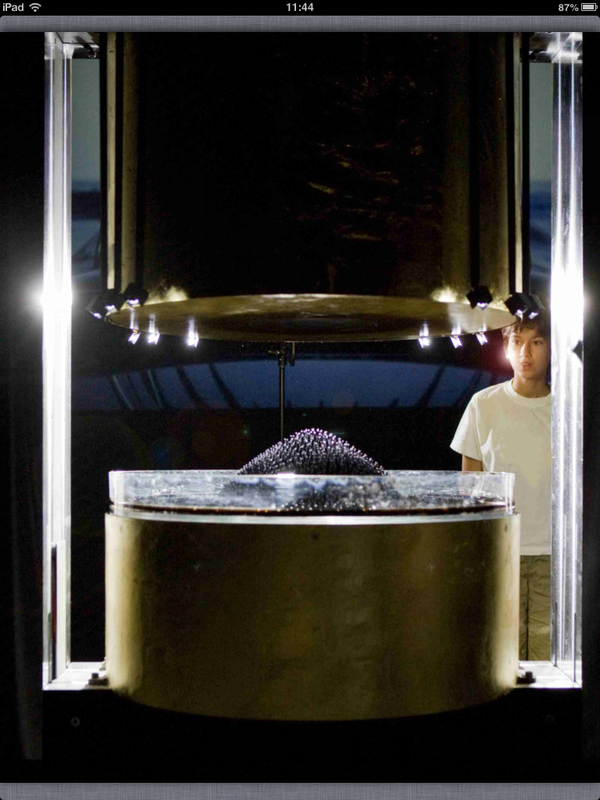 Through a computer system, Kodama controls the strength of these magnetic fields to accurately measure the response of the liquid. 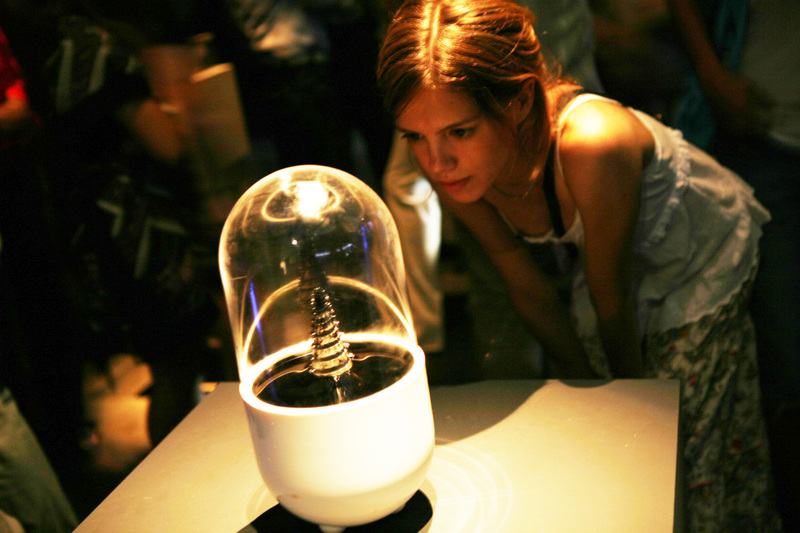 Protrude, Flow, the project that made his work known, uses this technique to create a liquid sculpture that constantly changes shape before the astonished spectators. 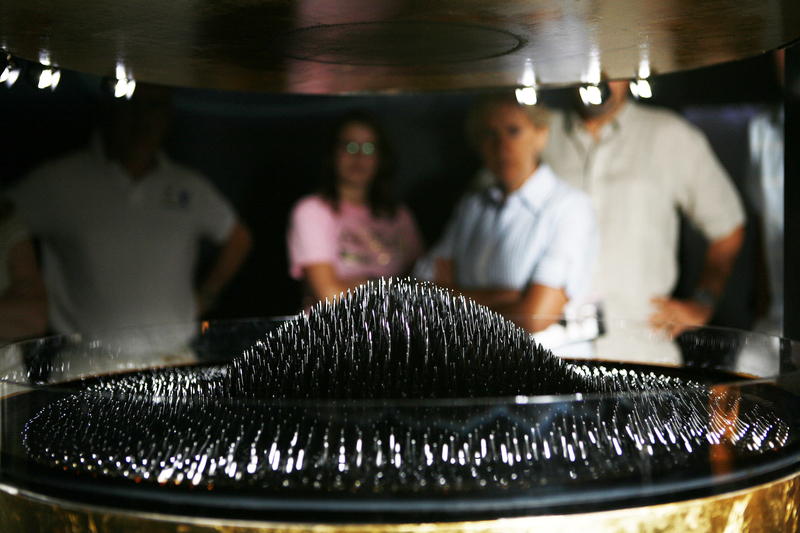 In this installation, a tray containing a solution of water, oil and ferrofluids is placed between two large magnets. The liquid in the tray responds to the sounds it receives from around it. 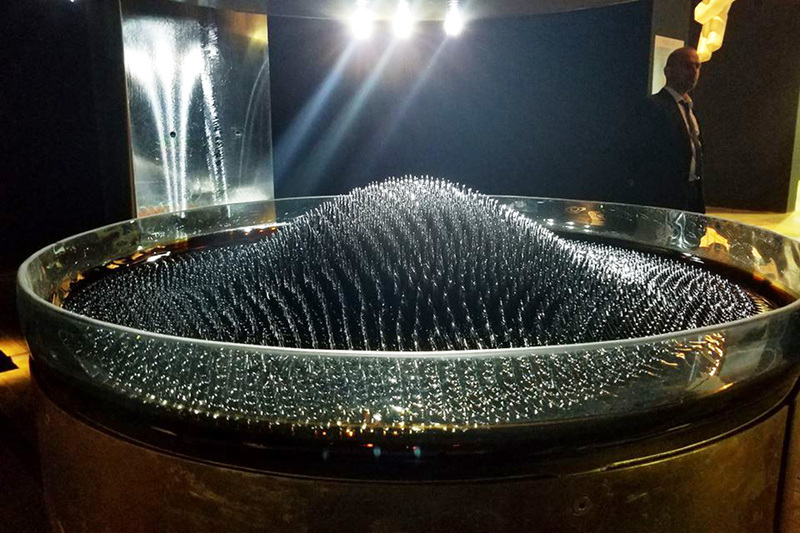 The sounds produced by the visitors cause alterations in the magnetic fields of the magnets that cause the liquid to defy gravity and physics and rise, acquiring three-dimensional shapes that mutate every second. A camera amplifies these movements and projects them onto a screen, where it is possible to appreciate in detail the richness and sophistication of the images produced. These images, interestingly enough, are not entirely strange to us: they refer us to computer-generated synthetic images, with their shiny surfaces and their ability to change volume and shape in a second. This approach to a virtual aesthetic through a physical substance that we can observe in front of our eyes is one of the most intriguing aspects of this project. 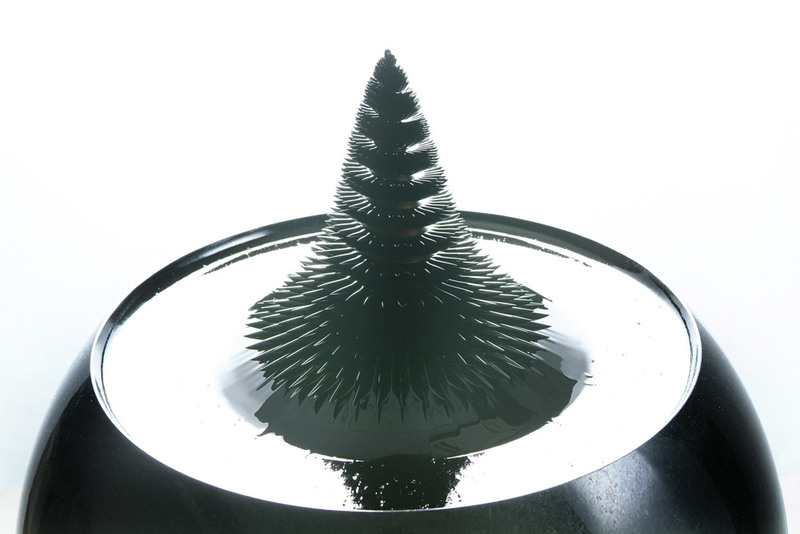 Kodama has continued to develop its research with ferrofluids in later works such as Pulsate, an installation in which the magnetic liquid rests on a porcelain plate; Breathing Chaos, where the flickering of candlelight is the element that produces the movement of fluids, or Morphotower, the most sculptural of its projects, formed by a ceramic cube with holes through which the sinuous forms, composed by the liquid, emerge. 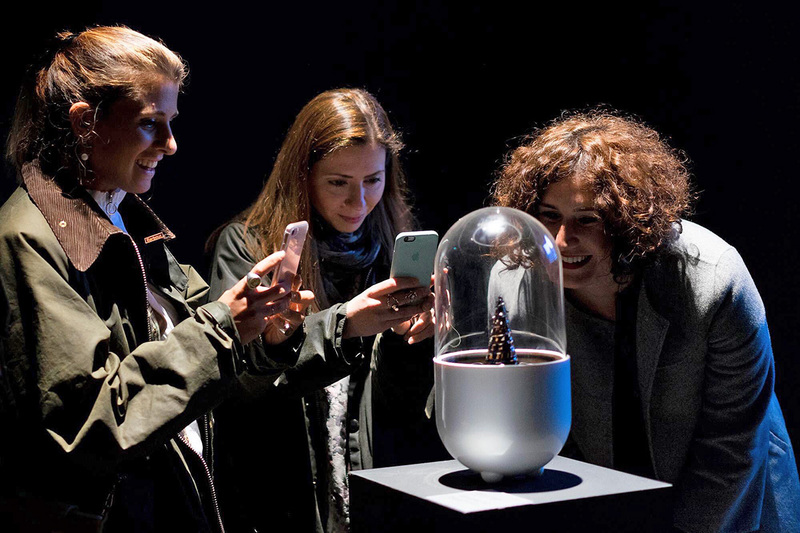 Her work has been exhibited at museums like the Museum of Contemporary Art – Tokyo, the Reina Sofia National Museum of Modern Art – Madrid and at the “Digital Creatures” exhibition in Rome.